Only HammerHead® Trenchless makes it possible for contractors and self-performing organizations to prepare and impregnate resins into CIPP liners right at the jobsite. Time-tested with computerized quality assurance controls front and center, the exclusive Mobile Wet Out system is custom-built to address each customer’s unique market conditions for efficient and highly successful installations. Designed with all of the required equipment securely built on-board, the mobile resin impregnation station includes automated pumps, ratio and mixing systems, a vacuum impregnation system, an integrated calibration roller, and temperature control systems to ensure optimum conditions for successful applications. HammerHead Trenchless Mobile Wet Out system is QA/QC compliant to ASTM F2994, and is the efficient alternative to other solutions that require transport of liners from centrally-located impregnation plants. HammerHead Trenchless stands by its customers with technical on-site training and unparalleled, ongoing support, including researching and developing new solutions for a customer’s unique needs. 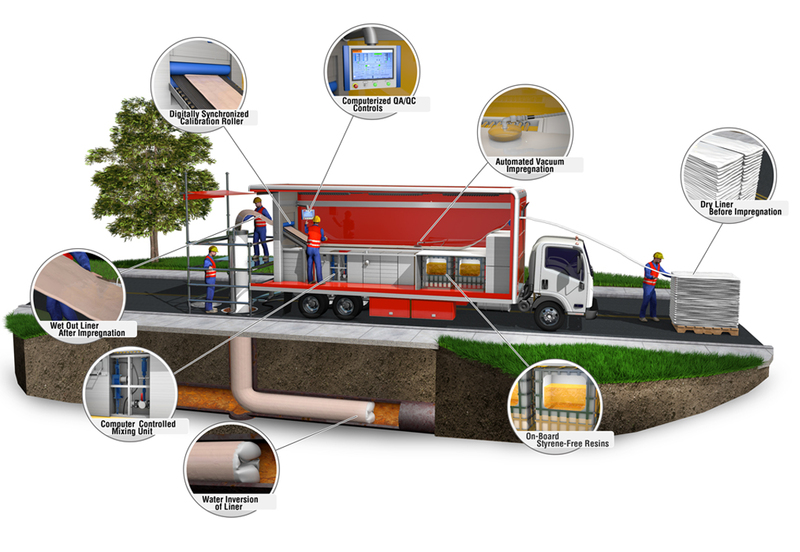 Time-tested with computerized quality assurance controls front and center, the exclusive mobile wet out system is custom-built to address each customer’s unique market conditions for efficient and highly successful installations. Designed with all of the required equipment securely built on-board, the mobile resin impregnation station includes automated pumps, ratio and mixing systems, a vacuum impregnation system, an integrated calibration roller, and temperature control systems to ensure optimum conditions for successful applications. HammerHead Trenchless Mobile Wet Out system is QA/QC compliant to ASTM F2994, and is the high-tech alternative to other solutions that require transport of liners from centrally-located impregnation plants. 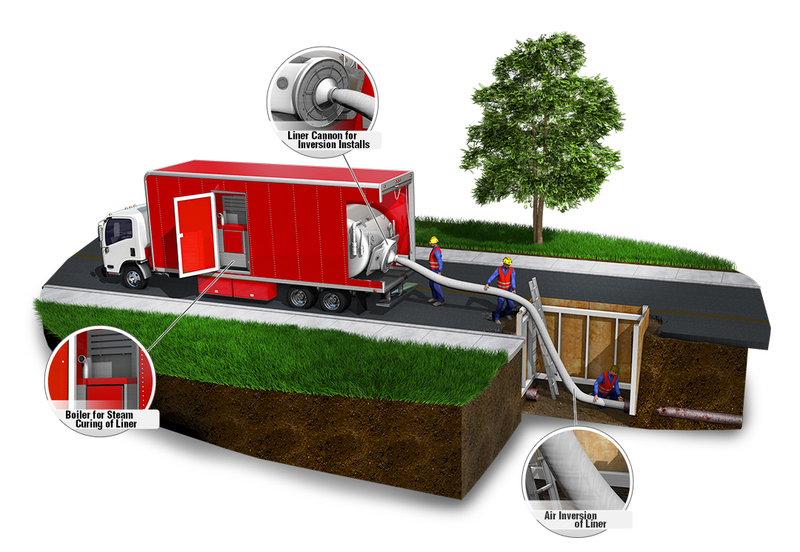 Mobile Wet Out systems allow customers to prepare and install liners directly above the manhole access point. This is especially critical for large diameter liners, which can take several days of set-up and breakdown with traditional methods. The ability to quickly and easily transport everything necessary from jobsite-to-jobsite, and impregnate and install liners in less time, result in high levels of efficiency and quality.